How to Build Your Data Center? Today’s data centers are complex. It houses dozens of diverse bandwidth-intensive devices tightly such as servers, clustered storage systems and backup devices, all of which are interconnected by cables. Therefore, the importance of a reliable, scalable and manageable cabling infrastructure is self-evident. Then how to build a data center which can meet today and future growth? This article may give you some advice about it. As data center houses a number of servers which are connected by numerous cables, it’s important to make it organized. If not, the last thing you will encounter is a tangled mass of cables that make it impossible to determine how severs are connected. Let alone to build a high-efficiency data center. Here are some tips on how to start your data center. 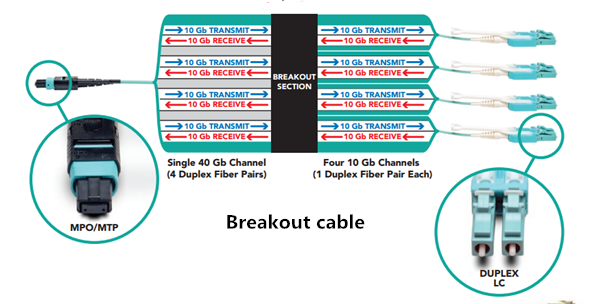 Using a structured approach to make data center cabling means designing cable runs and connections to facilitate identifying cables, troubleshooting and planning for future changes. In contrast, spontaneous or reactive deployment of cables that only suits immediate needs often makes it difficult to diagnose problems and to verify proper connectivity. Colors can provide quick visual identification, which simplify management and can save your time when you need to trace cables. 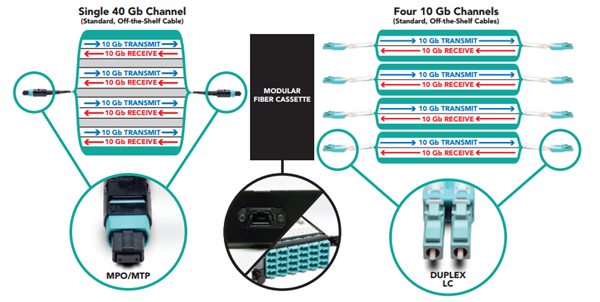 Color coding can be used ports on patch panels, color sleeves, connectors and fiber cables. Once the physical layouts of a data center are defined, applying logical naming will make it easy to identify each cabling component. Effective labeling brings better communications and can reduce unnecessary problems when locating a component. The suggested naming scheme often includes Building, Room, Grid Cell, Workstation, etc. How to Select the Necessary Cabling Components? After knowing how to construct the backbone network of a data center, selecting a right and suitable cabling components can quickly become overwhelming. Each cabling component has its own advantages and disadvantages. So it’s important to get the right equipment purchased and deployed to avoid future cabling problems. Below are some tips on how to choose corresponding cabling components. Patch panels enable easy management of patch cables and link the cabling distribution areas. How to choose a suitable one? 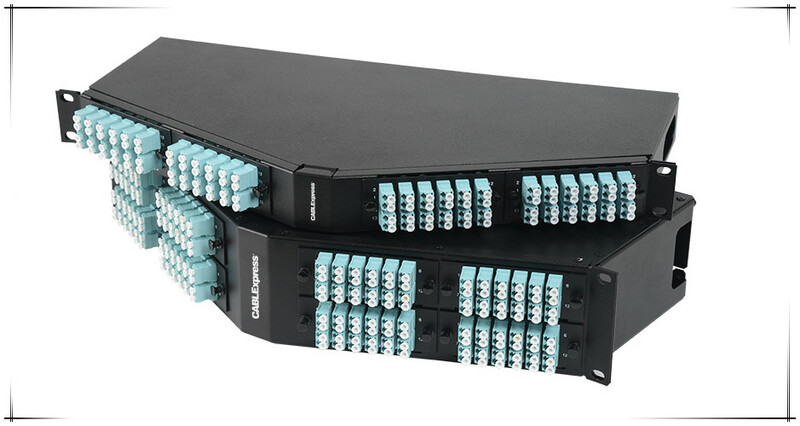 First, the patch panels which allow different cable connectors to be used in the same patch panel are a good choice. 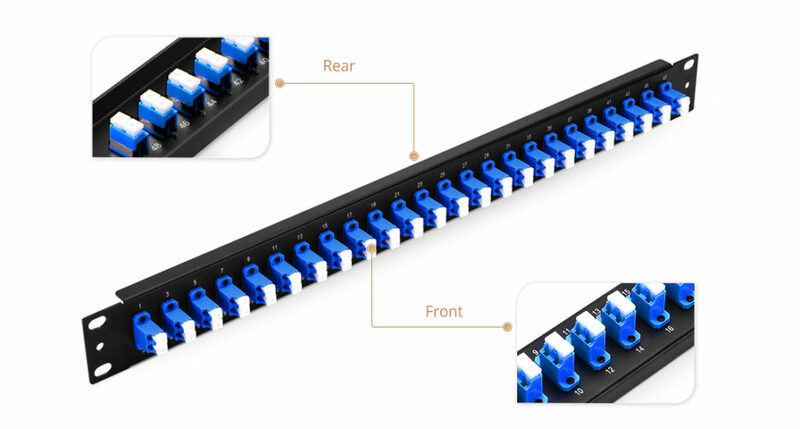 Second, when choosing a patch panel, the main types of connectors within one panels are LC for fiber and RJ45 for copper. Finally, patch panels with colored jacks or bezels allow easy identification of the ports also can be taken into consideration. Cable managers offer a neat and proper routing of the patch cables from equipment in racks and protect cables from damage. Generally, there are horizontal and vertical cable managers. And there are different requirements of these cable managers. When choosing horizontal cable managers, it’s essential to make sure that certain parts of the horizontal cable manager are not obstructing equipment in the racks and that those individual cables are easy to be added or removed. While choosing vertical cable managers, additional space used to manage the slack from patch cords is needed. 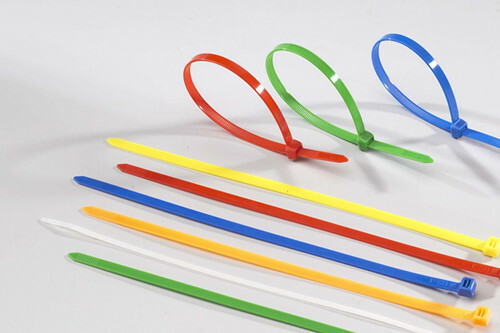 Cable ties are used to hold a group of cables together or fasten cables to other components. Using cables ties can avoid crushing the cables and impacting cable performance. Velcro cable ties provided by Fiberstore are perfect for controlling and organizing wires, cords, and cables. Besides, using ties will help you identify cables later and facilitate better overall cable management. Of course, except for what have been mentioned above, there are other cabling components which need to be selected carefully such as cable labels, backbone cables and so on. What Should Be Paid Attention to When Installation? Cabling installations and components should be compliant with industry stands. Use thin and high-density cables wherever possible, allowing more cable runs in tight spaces. Remove abandoned cables which can restrict air flow and may fuel a fire. Keep some spare patch cables. The types and quantity can be determined from the installation and projected growth. Try to keep all unused cables bagged and capped when not in use. Avoid routing cables through pipes and holes, which may limit additional future cable runs. Building a data center is not an easy task. Each step and component selecting during installations need carefulness and patience. FS.COM provides all cable products including structured cables, patch panels, cable ties, labels and other tools needed in data center installation. All of them will maximize the efficiency and reliability of the data center installation.